In collaboration with National Agriculture and Rural Development Bank: ‘PAHAL’ has launched a large camping to form Self Help Groups in rural areas of district Jalandhar and Kapurthala . Till date 2000 women comprising 50 Self help groups has been formed and linked with the banks . It is revealed that there will be 50 more SHG in the coming months. 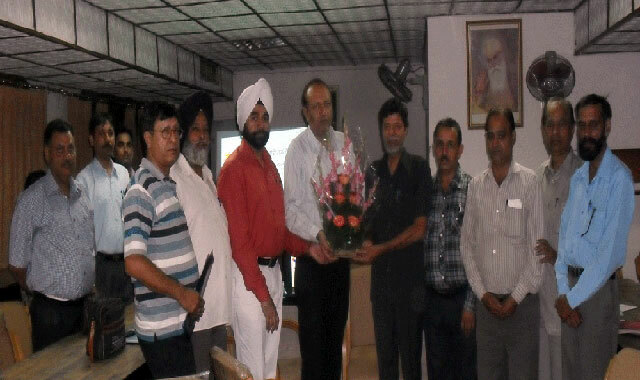 Recently PAHAL organised a PROJECT IMPLEMENTATION AND MONITORING COMMITTEE meeting under the aegis of NABARD.While Presiding the meeting Mr. Bains CEO Jalandhar Central Co-operative Bank said that “In the earlier times villages were an self dependent unit, catering to all the needs of the masses, recent development of few years destabilized the masses and made them dependent, but the self help married with financial inclusion can be a sure shot to get rid of poverty” .He briefed the members about liberal policies of World Bank and Reserve Bank of India. Sh. Y. P Aggarwal DDM NABARD expressed satisfaction over the work done by PAHAL in SHG formation and Bank linkage.